Should You Get a Chevron Credit Card? Two of the major players in the fuel game – Chevron and Texaco – like many other gas stations offer their own credit cards. 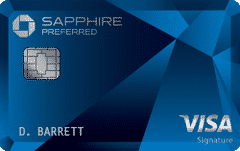 The two credit cards offered by these companies include the Chevron-Texaco Techron Advantage Credit Card and Chevron-Texaco Techron Advantage Visa Card. If you frequently purchase gas at Chevron and Texaco, you may be interested in getting a Chevron-Texaco credit card. In this review, we’ll help you decide whether a Chevron-Texaco credit card is right for you or not. This a branded-credit card offered by Chevron and Texaco. The rewards aren’t as great as those offered by some of the other gas credit cards, so we don’t recommend you to get this credit card. The Chevron-Texaco Techron Advantage Credit Card doesn’t charge an annual fee. Therefore, it could be an option for consumers who want to rebuild their credit score. The APR of this credit card reaches close to 29% which is why it’s important to use this card responsibly. There aren’t any strict requirements you need to match for applying for this credit card. When it comes to rewards, the only thing you get is a 3¢ for every single gallon fuel purchased at Chevron and Texaco stations. This credit card doesn’t offer anything extraordinary. It gives zero fraud liability meaning that you can’t be held accountable in case of unauthorized transactions. Another feature is that you’ll get exclusive savings offers at different times during the year. However, there isn’t any information disclosed by Chevron and Texaco about these deals. The card offers various online management features for the ease of cardholders. You can check the balance on your card and make payments online. It’s clear that the Chevron-Texaco Techron Advantage Credit Card doesn’t offer enough rewards to the cardholders. It might only be a good option for rebuilding credit as it doesn’t come with an annual fee. Other than that, there isn’t much value you can get from this credit card. There is a major difference between the Chevron-Texaco Techron Advantage Visa Card and the Chevron-Texaco Techron Advantage Credit Card in terms of rewards. This card gives a 3¢ per every gallon in fuel credits for gas purchased at the Chevron and Texaco. In addition, it also offers a 20¢ per gallon in fuel credit if you buy fuel at Chevron or Texaco station during the first 90 days after opening your credit card account. 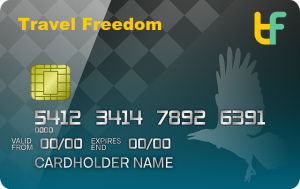 Another advantage is that this card can be used outside of Chevron and Texaco stations. There are even rewards for purchases made elsewhere. For instance, on spending $300 per month outside of fuel merchants, you’ll receive 10¢/gal in fuel credit. If you spend $1,000 per month outside of fuel merchants, you’ll get 20¢/gal in fuel credit. The Chevron-Texaco Techron Advantage Visa Card offers a good deal and is a lot better than the Chevron-Texaco Techron Advantage Credit Card. If you spend $1,000 or more in purchases other than fuel, you could save a few bucks from 20¢/gal in fuel credit reward. 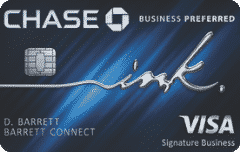 The other features on this credit card as the same as those of the branded version including no annual fee, online account management, 24/7 cash access and $0 fraud liability. You can apply for a Chevron-Texaco credit card from this page. Click the ‘Apply Now’ and you’ll be directed to a new secure page where you can enter the information required for the application. You will need to provide your physical address, email address, phone number, and other details to complete the application. Once you’ve completed the application, you can proceed by clicking the “Continue” button at the bottom of the page. Before you can log in into your Chevron-Texaco credit card, you will have to register your card. Visit this page and click the “Register” button to complete the registration process after you’ve received your Chevron-Texaco credit card. Once you’ve registered your card, you can log into your account by entering your User ID and Password. From the online account, you can check your balance and make payments. You can access your account 24/7 online. There is also a mobile app that you can use for making payments and checking the status of your Chevron-Texaco credit card. The Chevron-Texaco Techron Advantage Credit Card doesn’t offer any special rewards except for the 3¢/gal in fuel credits. It is only good for rebuilding credit, so we wouldn’t recommend this credit card if you plan on saving money on fuel. However, the Chevron-Texaco Techron Advantage Visa Card offers good rewards and may allow you to save a few bucks on fuel purchases at Chevron and Texaco stations. If you spend $300 or $1000 a month in non-fuel related purchases, you could save money from the 10¢/gal or 20¢/gal in fuel credits reward. Not only that, but you can enjoy 20¢/gal in fuel credit reward for fuel purchases within the first 90 days. It would make sense for you to get the Chevron-Texaco Techron Advantage Visa Card if you frequently purchase fuel at Chevron and Texaco stations. Otherwise, we wouldn’t recommend this card to you as there are plenty of better alternatives out there. If you’re looking for a fuel credit card that’ll give you plenty of rewards, we suggest the Blue Cash Preferred Card from American Express. There’s no annual fee on this card and it offers 3% cash back for fuel purchased from U.S. gas stations. In addition, there is 6% cash back on the card on the first $6,000 spent in a year at the supermarkets in the country. 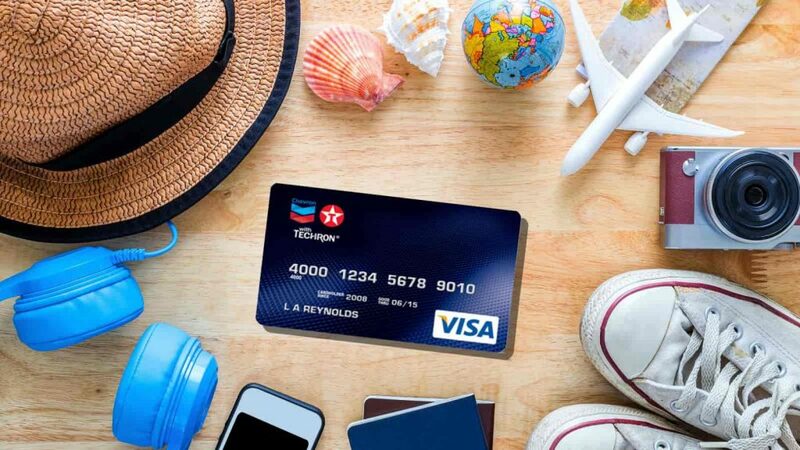 In a nutshell, the Chevron-Texaco Techron Advantage Credit Card doesn’t offer compelling rewards, but the rewards Chevron-Texaco Techron Advantage Visa Card offers are good. You may be able to save a few bucks from the rewards on the Visa Card if you frequently purchase gas at Chevron and Texaco stations. So, only get this card if you’re an avid Chevron and Texaco customer; otherwise, look for better alternatives.